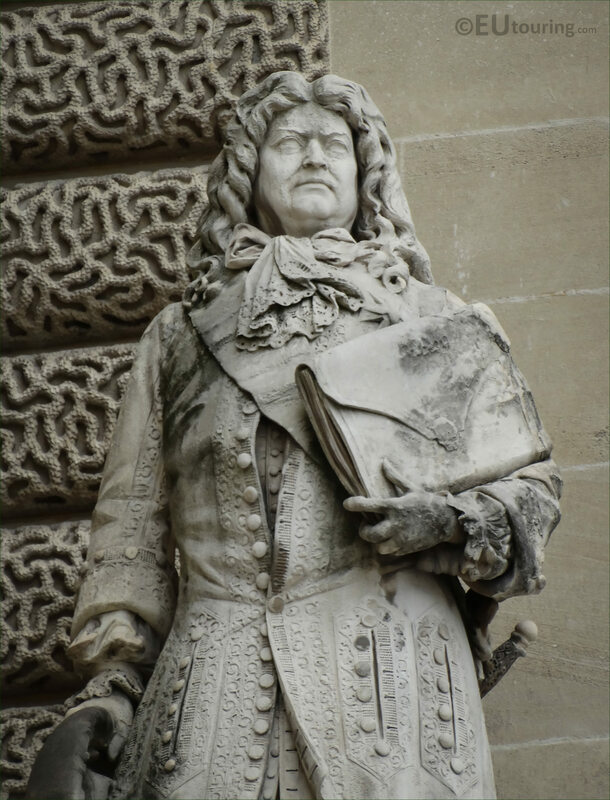 Located on the Aile Henri IV these high definition photos show one of the statues positioned on the first level balustrade of this wing of The Louvre, which is by Aime Millet and is dedicated to the Marquis de Louvois. Having walked past the pyramids in the Cour Napoleon as though you are going towards the back of the Louvre Museum by the Cour Caree you will discover the wing called the Aile Henri IV and the statue of Louvois is the very first one next to the Rotonde de Beauvais. 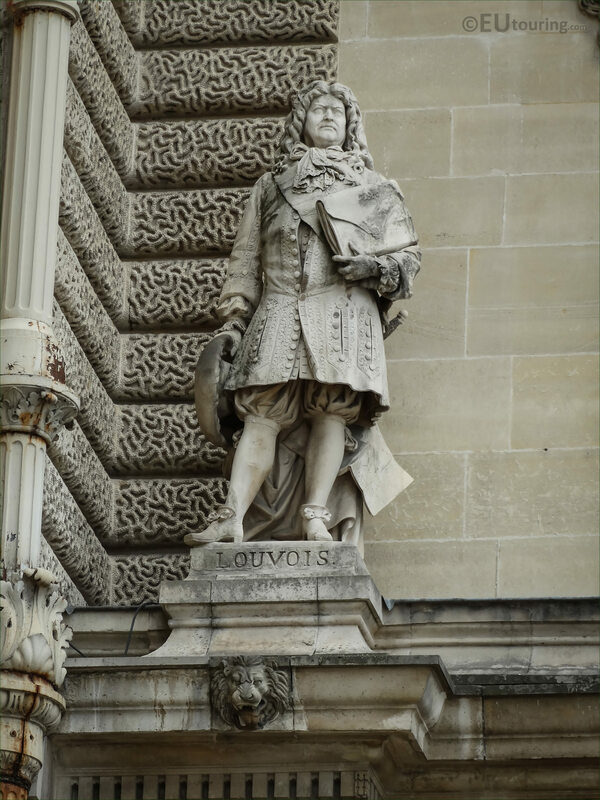 Now as we have mentioned, this stone statue was produced by the impressive French sculptor Aime Millet, who was born in Paris in 1819 and passed away in the same city in 1891, having produced many notable works during his career including some for the Paris Opera House. 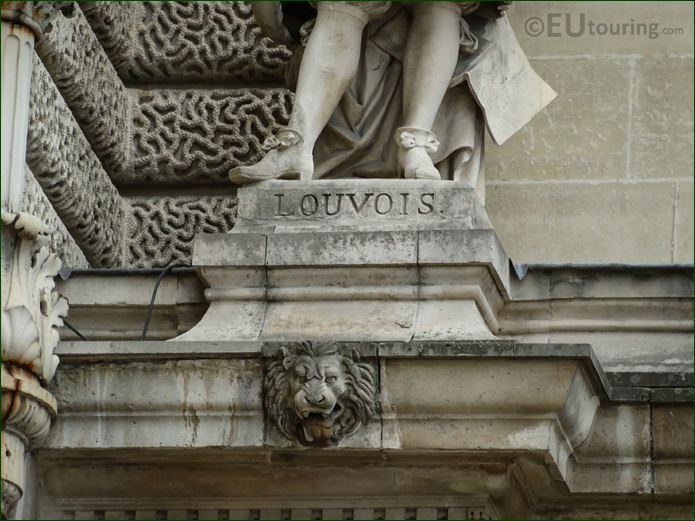 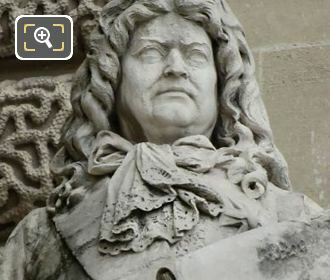 And in this close up photo showing the name plaque at the base of the statue you can see this is dedicated to Francois Michel Le Tellier, Marquis de Louvois, known just as Louvois, who was born in the January of 1641 and for a significant part of the reign of King Louis XIV he was the French Secretary of State for War, taking over the position from his father after winning the kings confidence and even initiated the collection of Plans Reliefs at Les Invalides.